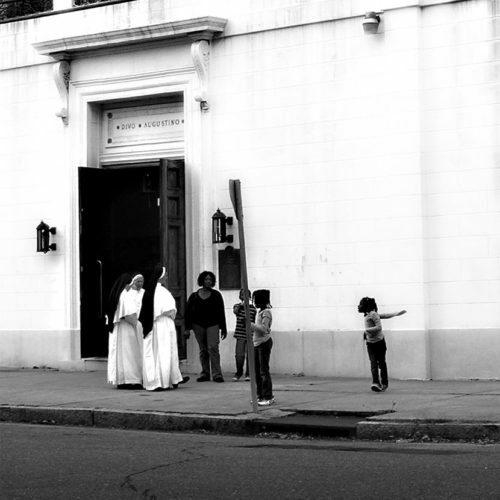 For 175 years, St. Augustine Church has served as a spiritual and cultural pillar for the Tremé neighborhood. Its current parishioners hope to keep it that way by raising $5 million to restore the church and the community center attached to it. Kicking off Friday (Sept. 29), the festival will begin with a patron party at 6:00 PM at the George and Joyce Wein Jazz and Heritage Center (1225 N. Rampart Street). Tickets cost $100 to attend and will include live music and food. On Saturday (Sept. 30), the free street festival will take off at 11:00 AM in and adjacent to St. Augustine’s grounds. It will feature a lineup of prominent local musicians such as Corey Henry and the Tremé Funktet, Hot 8 Brass Band, Doreen Ketchens, the Zulu Tramps, Germaine Bazzle, among many others. The festival wraps up on Sunday (Oct. 1) with a 10:00 AM mass at St. Augustine and jazz gospel concert. But this is only the start for St. Augustine’s fundraising efforts. “Also coming up this [October] is the Sisters of the Holy Families 175th anniversary and we’re kicking off our capital campaign with that,” says Cool, referring to the holy order co-founded by soon-to-be-saint Henriette Delille, one of many figures associated with the church (she took her formal vows there in 1852). Other historically relevant members include Homer Plessy— who prompted the U.S. Supreme Court case Plessy vs. Ferguson— and civil rights attorney A.P. Tureaud Sr. 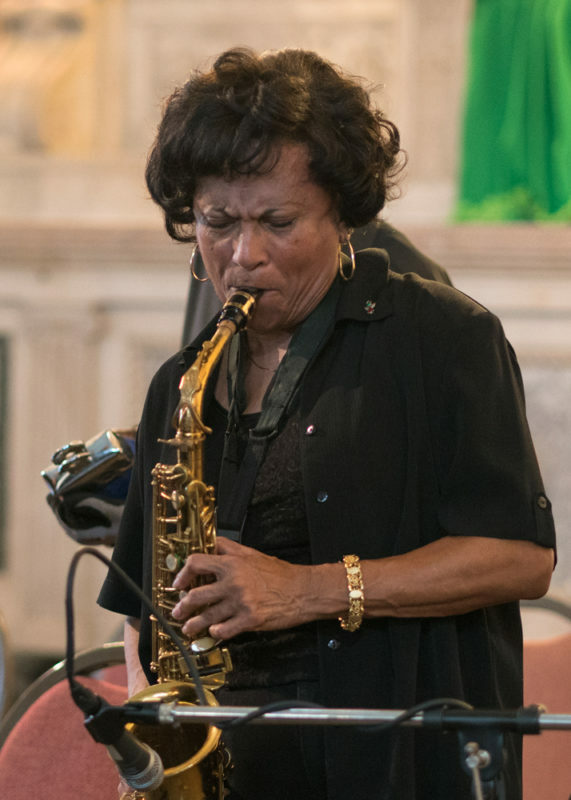 The church also boasts a coterie of famous musicians in its ranks including jazz pioneer Sidney Bechet, “Chief of Chiefs” Allison “Tootie” Montana, and more recently the Neville family and John Boutte. Alan Powell, a longtime parishioner and Restoration Project board member, recalls his first experiences with the parish as a “heaven sent thing.” Powell’s family migrated over from Holy Redeemer Church, which was destroyed by Hurricane Betsy in the 60’s, and he’s never forgotten how much the parish means to him, “We just didn’t know what kind of a jewel there was right within our grasp,” he says. This dedication stretches across the church’s entire history, starting with its founders— the Free People of Color who lived in the Tremé in the early 19th century. They petitioned the city’s then-bishop relentlessly for permission to build a church for their community. Finally, it was granted and in 1839 construction of the building started on the corner of what is now Gov. Nicholls and Henriette Delille Streets. The plot of land was gifted to the founders by the Ursuline nuns whose only request was that the church be named after their patron saint: Augustine. Soon after, the church began to serve not only the Free People of Color living in the Tremé, but a multicultural community that included white Creoles, French immigrants, Haitians and slaves. 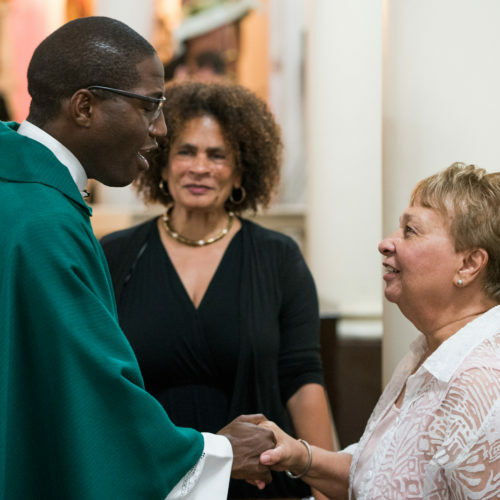 “It is the oldest church in the United States that has had a continuous mixed congregation…throughout its entire history,” according to St. Augustine’s website. The 21st century has been challenging for the church, particularly in the years following Hurricane Katrina and the city’s flooding. In fact the archdiocese was near to closing the parish’s doors at one point, but due to protests by parishioners and relief volunteers, the archdiocese and church worked out a compromise that allowed St. Augustine to remain open. 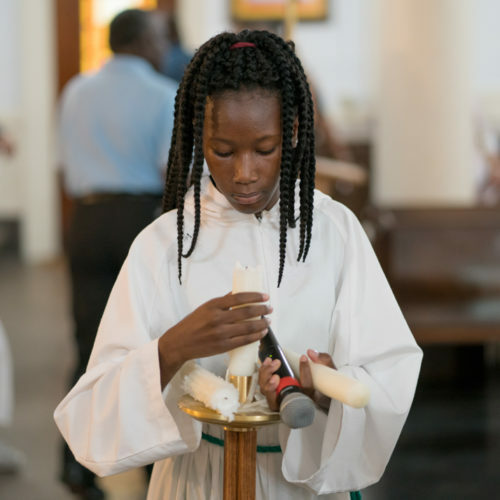 Today, despite ongoing changes in the Tremé neighborhood and New Orleans in general, St. Augustine Church serves as a indelible marker to both where the city has been and to where it’s yet to go. You can find more information about St. Augustine Church on their website at www.staugchurch.org. More info about the Tremé Fall Festival at www.tremefest.com.